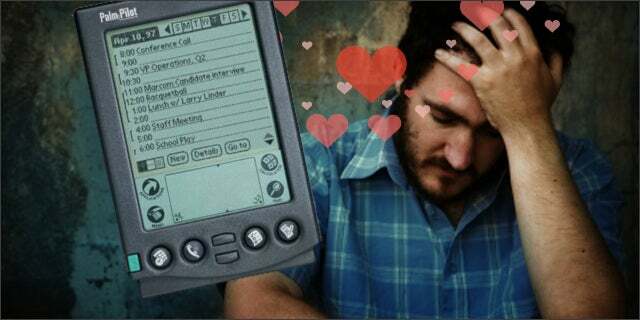 If you were a tech start-up entrepreneur or venture capitalist in 1995 and you didn’t have a Palm Pilot, you weren’t a tech entrepreneur or a VC – you were just pretending to be one. If you were raising money on Sand Hill Road and you handed a VC a business card instead of beaming them your contact info, you weren’t getting funded. In those days, Palm was the gold standard and beaming was not just “cool,” it was simple, efficient and mandatory. So even though we walked around with Palm Pilots that were twice the size of today’s cell phones and cell phones that were twice the size of our Palm Pilots, and even though you couldn’t make phone calls with your Palm Pilot (kind of like some of today’s iPhone’s depending on where you are trying to make the call) because it was a Personal Digital Assistant (PDA) and not a phone, and even though Dockers sold special pants with hidden zippered pockets to store and hide all your desperate single-function devices, and even though they called them Dockers because marketeers knew that calling them what they were (pants for the big butted man) would hurt sales, even with all of that… in some ways, in terms of trading digits, life was higher tech. Life was simpler and better… even if life was lived on a dull green-on-green, low-resolution display that couldn’t play Angry Birds, life was in some ways better. Oh yes, I know there’s that bump software thing. I have it running on my Droid. Never used it. Nope never. Truth is, in hundreds of meetings with VCs, angel investors and entrepreneurs, I have yet to do the bump (not counting the dance contest I won in 1974). In fact, I’ve started asking people if they’ve bumped and have yet to find anyone who admits to bumping (and that goes for trading contacts or the dance). You have my permission to accuse me of grumpy old man griping. Technology hasn’t improved my life because it killed the beam – and life was better in the day of the beam. Even though I use to have to walk to school barefoot, up hill, both ways and didn’t have gorgeous HD-rendered graphic networked games that allow you to control people like Terrel Owens who can’t control themselves on Xbox or PS3, and yes, even though I had one machine that played one single-function, black and white pixelated firmware-driven video game called Pong (and I’m not talking beer pong), in some ways life back then was just better. So beam me your digits and tell me what you think. *Credit to the fabulous Dave Barry from whom I stole the Dockers joke.